Get every card you want in this mixed box set. Choose any 8 cards and we will create a personalized card set just for you. Please let us know what combination of cards you would like in the “order notes” upon check out. 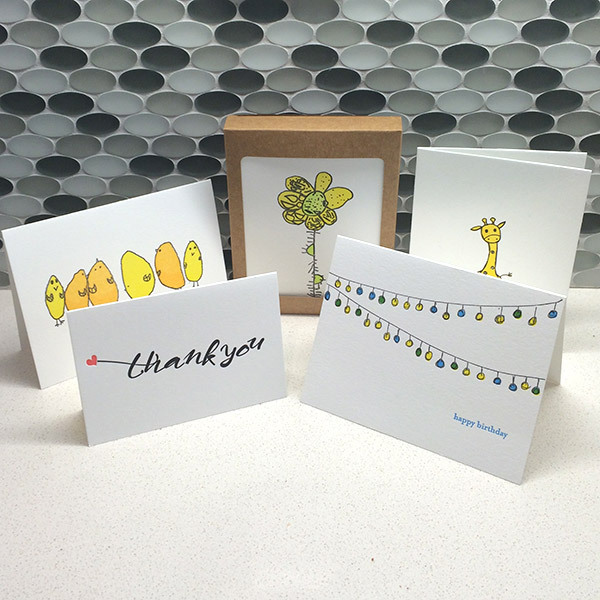 All cards are printed on thick, 100% cotton paper and come with yellow envelopes. Thank you card and horse cards come with white envelopes.